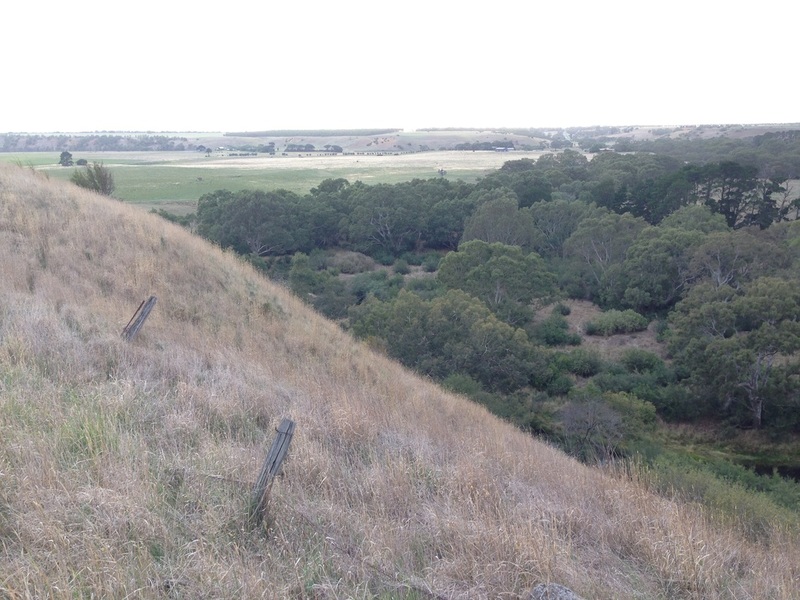 The Geelong district in the far south of Victoria offers a variety of landscapes, geologies and soils. In the extraordinary Barrabool Hills immediately to the west of Geelong you will see fertile sandy loam soils that have developed from an ancient sandstone. This is a landscape of steep hills and fertile valleys. Further west is the relatively flat Victorian Volcanic Plains which are the result of lava flows. These rocks have produced nutrient rich clay soils that often shrink and crack in summer. To the east is the beautiful undulating Bellarine Peninsular with its mix of leached marine sediment soils and rich older basalt clay loam soils. Add to this variable geology, the abrupt imposing granite landscape features of the You Yangs and the Dog Rocks, producing more open sandy loam soils, and you have a fascinating and diverse mix of indigenous vegetation that has evolved on the unique soils that time and weathering has produced. ​The plants described are found on and have adapted to all these landscapes and soils and in doing so they have become subtly different. For example the magnificent Blackwood, Acacia melanoxylon, grows into a very large long lived tree in the high rainfall areas and in the river valleys on the better drained soils. On the heavy cracking soils of the basalt plains the Blackwood has become a small tree with a relatively short lifespan. It is the same species of wattle that has adapted to its surroundings over thousands of years and it now looks like two different species. Australian plants are remarkable and have adapted to some of the poorest soils and harshest climates in the world. These stories are about these wonderful plants. Written to entertain, inform and to inspire Landcare members to care for a landscape feature that is critical to our environmental health but is sadly disappearing from the roadsides and other remnant areas around Geelong a little more each year. If you want more ideas on developing a plant list for your project please have a look at making a list of plants for revegetation. Within these hills there are many contrasting micro-climates to which the indigenous plants have adapted well. ​The local birds depend on the diversity of these local plants to survive in these often harsh environments.